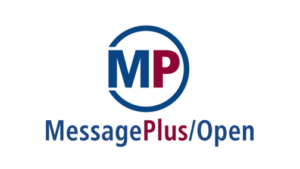 MessagePlus/Open (MPO) is a Single Window Multi Channel messaging solution, which manages incoming and outgoing communications traffic on a highly scalable basis. Outgoing messages (fax, fax over IP, e-mail, SMS, or Telex) are sent directly from any MPO integrated application. Incoming messages are automatically distributed to databases, mail addresses, applications or devices. The immediate impact of deploying this technology is a dramatic reduction in costs and less time wasted in messaging operations, combined with the highest levels of availability and reliability. MPO includes a mature, reliable and powerful implementation of Fax over IP. As this is a pure software solution, there is no need for fax boards reducing cost and allowing the implementation of the complete system in virtualized environments. The solution has been tested for interoperability with equipment from all the major VoIP suppliers. For companies migrating their voice traffic to IP MessagePlus/Open offers the ideal solution for seamlessly integrating fax functionality into this new infrastructure. Intelligent routing algorithms based on document analysis automatically provide the right information to the right person and business application. Rich rendering and communication functions enable distributed content delivery through Web applications, fax, email, SMS and printers. MPO processes virtually unlimited volumes of incoming and outgoing messages. MPO integrates tightly into existing IT infrastructures and application landscapes and offers advanced options for intelligent routing. The deployment of MPO guarantees substantial savings, high levels of availability, and traceability for continuously high fax volumes which still playing an important role in business communications, and also integrates SMS and email messages into computer based business transactions.